Why choice the rapid prototype CNC machining in China. Most of people would say that it can save money and get more benefits from there. Up to now, the trend is growing rapidly. Meanwhile, more and more companies to choice outsourcing some of them or all of the parts from China because the lower labor cost and the production costs in order to keep competitive and health business margins growing. Today, various data shows that China accounts for one –fifth of the world’s manufacturing now, thus it’s fast becoming the largest manufacturing nation in the world. China has skilled labor, exceptional engineers and design team to produce top quality products. Lower labor cost and the product cost. The labor cost and product cost are the largest expense for most manufacturing companies, and this price is difference depend on machining country. More and more companies choice the outsourcing to reduce the cost, thus get more benefits. So as the lower cost of manufacturing country-China, in doubt become they the best choice. Most of precision CNC machining factories have passed RoHS and ISO9001 certificates. And they have own professional and skilled technical and QC employed to provide top quality and tight tolerance with the latest CNC machines. With the rapid development of manufacturing industry, China has own a large quantities of professional and technical personal appear constantly. They can offer reasonable and valuable suggestion to improve the designing by the part functions and application, thus reduce the cost and production time. But it will not have any effect to the part assembly and application. Competitive price, high quality and faster delivery are the source of life for a company, and they also are crucial to an enterprise. With the skilled employees and the state-of-the-art facility, add enough workers, Chinese factories can provide high quality and tight tolerance of the part in the shortest time to meet the rapid requirements of customers. More and more factories have own various of CNC Machines. Such as: Milling&Turning machine, CNC Lathes, Grind machine, Laser cutting etc. they can quickly change different machining processing as your requirements to provide the fully machining services. At the same time, they also can provide various operations. Like: welding, grinding. Plating and fabrication etc. China is the largest machining country for over 30 years. It have enough technical persons to provide the fully service for you and your company. From the original drawings design and analyze, the material order to shipping logistics, the prototype testing and mass production and application. We can provide the fully service to meet our customer needs. 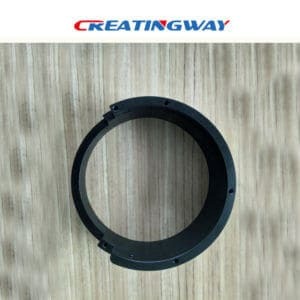 Creatingway take above these advantages to our oversea customers, make best partner in China. 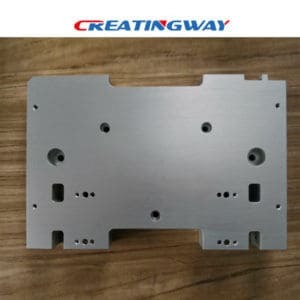 As one of professional CNC Machining factories, Creatingway not only provide above services to meet your deadlines and quality standards, but also get you more surprised.